Turnip salad. Recipes from Russia. Description: Rich of vitamins. 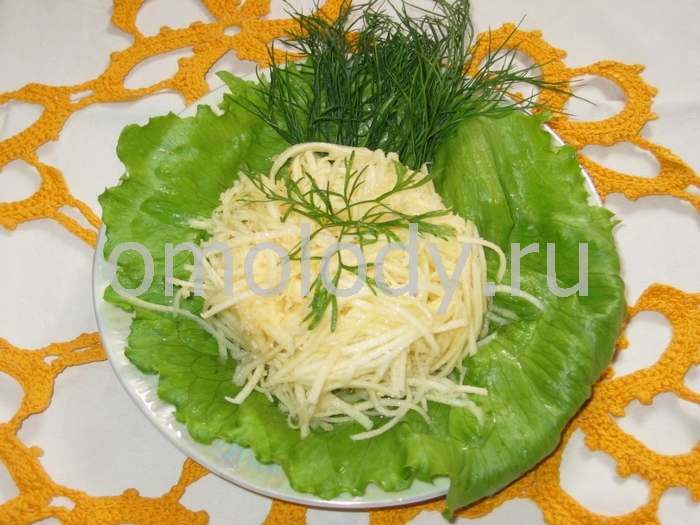 This salad can be delicious appetizer. Turnip is notable for its sustenance. It removes cough, softens breast and intestines, improves the sight and excites appetite. 100 g (3,6 oz) turnip, grated. 1. Put grated turnip into bowl, add olive oil. Stir thoroughly. 2. Serve on lettuce leaves. Decorate with dill.